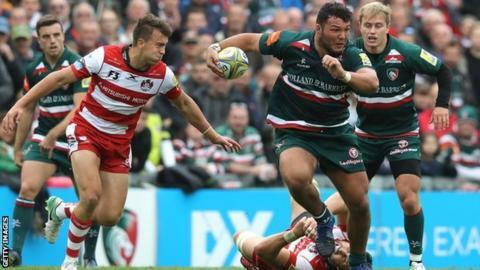 Leicester's England prop Ellis Genge is to have shoulder surgery and is likely to be out for a couple of months. The 22-year-old England international was withdrawn at half-time during Tigers' defeat by Wasps on Saturday. The former Bristol player won the most recent of his five caps when he started in England's win over Samoa 10 days ago. "Ellis is going to need minor surgery which will mean a couple of months out," Tigers boss Matt O'Connor said. "It's obviously very disappointing for him and for us because he has been outstanding this season and has been in the England squad during the autumn." Meanwhile, Tigers have recalled Italy prop Michele Rizzo from a loan spell at Edinburgh Rugby and he has been registered in the squad for the European Champions Cup.